Royal Moscow Ballet will be returning to South Africa in March with a programme paying tribute to great Russia composer Pyotr Tchaikovsky, which comes to Durban for two shows only on March 11 at 14h00 and 18h00. In a country starved of professional ballet, the regular visits from dancers of the Royal Moscow Ballet are always a treat. The company arrives in the country for a six city tour in March covering Johannesburg, Pretoria, Bloemfontein, Durban, East London and Gaborone Botswana. This time they bring a ballet programme celebrating one of the most celebrated Russian composers who wrote for ballet, Pyotr Tchaikovsky. Act One features: A Serenade for Strings – a one act Ballet with choreography by Anatoly Emelianov; Act Two features the Black Pas de Deux from the ballet, Swan Lake; and a one Act Ballet Franceska Da Rimini which premieres in South Africa, also featuring choreography by Anatoly Emelianov. 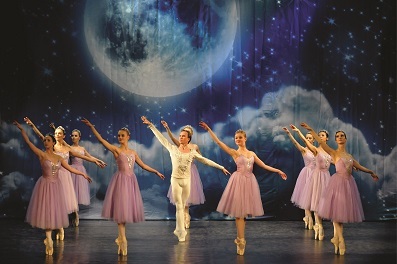 Royal Moscow Ballet has toured successfully around the globe presenting more than a thousand performances. The company, which consists of graduates of the best Russian choreography, ballet and dance schools, premiered as the Royal Moscow Ballet on August 12, 2002. The founders are Anatoly Emelianov and Anna Aleksidze. In 2018, the Royal Moscow Ballet will be celebrating its 16th anniversary. The company has created more than 20 modern and 15 classical ballets. The ballets were created by choreographers / founders Anatoly and Aleksidze. The Royal Moscow Ballet has visited countries such as Tanzania, Zambia and Kenya – the first visit of a Russian ballet company to East Africa, The dancers performed on specially-built stages near Victoria Falls. In honour of their contribution to the furthering of Russian Culture both Alexidze and Emelianov were awarded the prestigious Knight of the Second Order of Dyagilev in 2007. Performances take place in the Playhouse Opera on March 11 at 14h00 and 18h00.Booking is through www.computicket.com / 0861 915 8000 / Shoprite Checkers Money Market Counters.